It’s not like I didn’t know that traveling with a toddler would be difficult, but I didn’t anticipate just how difficult it actually can be. They’re completely unpredictable, and my daughter’s moods and wants switch on a dime. Combine that with unfamiliar surroundings, the need to actually be on time places, and trying to plan ahead for every scenario possible, it’s a miracle if we make it to the gate without some major unexpected disaster. I have definitely spent some long and exhausting hours in cars and airports with my two kids. If there’s anything that I’ve learned, it’s definitely to prepare as much as possible for the trip, and tell myself that the trip is going to go smoothly beforehand (whether it actually does or not). There’s no point in freaking out about an impending trip before a stressful situation even rears its ugly head. I tell myself it’s all going to go smoothly, no matter what! In addition to zenning out, I always make sure to pack efficiently so I’m not lugging around more than I can carry, and try to keep my arms free as much as possible. Here are my best space-saving packing tips and essentials that have gotten me out of many traveling binds. Remember: planning ahead and staying organized is key! I love using checklists when it comes to packing. They definitely help me make sure that I don’t forget anything and puts my mind at ease when I can physically pack and check things off my list. With a checklist, you won’t be stuck on a plane worrying whether you packed this or that. There are tons of cute printable packing checklists online. 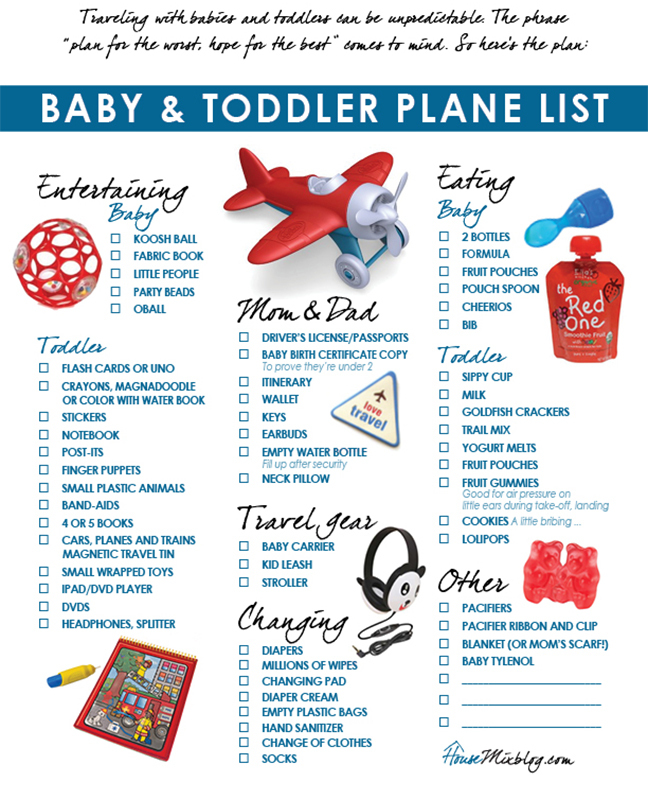 I particularly love this one from House Mix Blog; it’s great for flight essentials for traveling with a toddler. All my friends and family know that I am obsessed with my Solly Baby Wraps! They are so cute and comfortable. 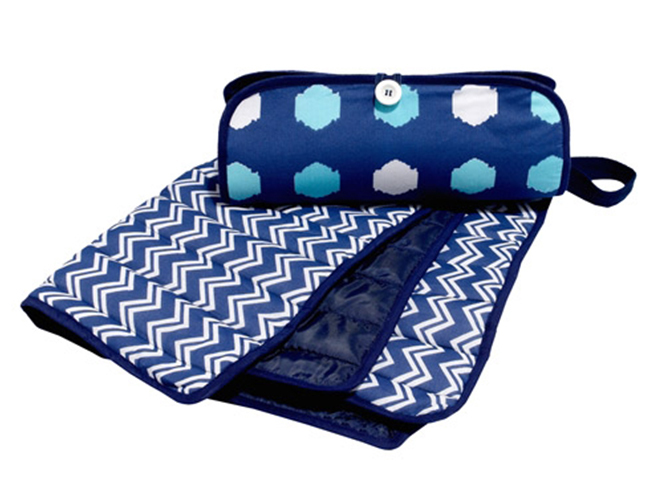 They’re perfect for traveling because they are so lightweight and easy to throw into your everyday travel bag. Plus, you’ll be hands-free in the airport so you can juggle everything else you’re carrying. I always like to carry a changing pad with me, but I’ve seen some bulky ones out there. I love this one from Masala Baby. It rolls up super small, and the pattern is adorable! The key to tight packing is using your space wisely. I recommend packing smaller items within bigger items. For example, pack your accessories in your shoes! I found this traveling hack a while back and haven’t turned back since! 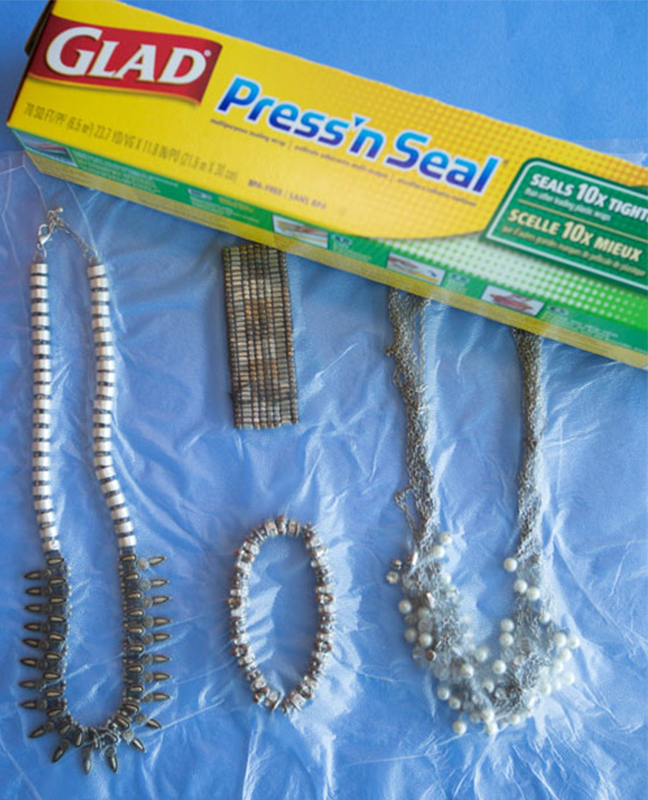 Use Press ‘n Seal to store your jewelry and keep them from tangling. You’ll be able to lay it all flat nestled safely within your clothes. I don’t like to be weighed down by a bulky diaper bag when I’m in the airport. I try to keep things simple and pack everything I need for the immediate plane ride for myself and my kids in a carry on and backpack. A favorite carry-on suitcase and backpack set of mine is by LeSportsac. The pattern is super fun and colorful, and between the two I can keep everything I need within arm’s reach without having to juggle too many things in my arms. 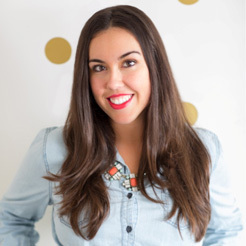 Leila Lewis is the founder of the Los Angeles-based wedding and lifestyle firm, Be Inspired PR, and the ever so popular blog, Inspired by This. Leila has developed her brand while simultaneously raising a family of her own, giving her content a family-friendly flair. Leila can be found scouting gelato shops in Italy, dressed in cowboy boots, sipping on a glass of Demetria Pinot Noir or spending time on the beach with her husband, Tony, baby girl, Londyn, and golden retriever, Marlo. Whether you’re looking to vamp up your mommy style, decorating your first home, or welcoming your first baby, Leila hopes to inspire you with unique content. Find daily inspiration on Leila’s Twitter, Instagram, and Facebook pages! And you won’t want to miss her incredible Pinterest boards either!